This book has an excellent illusion section, a decent chapter about escape artistry and also a fairly large trick section with all kinds of routines with cards, silks, ... The really good part are the illusions. You will find several clever ideas. Will Goldston was himself a craftsman and illusion builder. He can therefore write with authority. 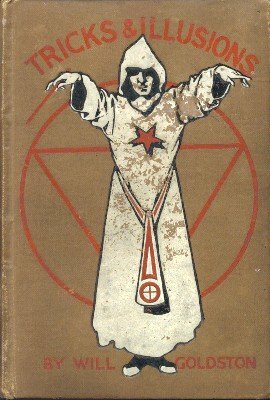 1st edition, 1908?, George Routledge & Sons, London; 259 pages. Where, Oh! Where Have They Gone?